Defining Unconsciounable Conduct: Is Opportunism present? The franchisor says that his decision is allowed under the contract and is a legitimate exercise of their discretionary power. Who do you believe: is it an excuse or a reason? 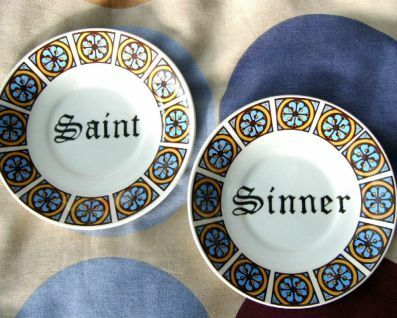 Is he a saint or a sinner? This is a very real problem for not just judges, regulators but franchisors and franchisees. Luckily enough, a test was proposed (but not used) by a Canadian born business and law academic, Gillian K. Hadfield in 2000. That separation of ownership and control, however, also creates vulnerability. The fact that somebody else is controlling your assets means that you’ve got to be a little bit worried about whether they’re going to be putting them to the best use for you, or whether they’re going to be taking advantage of them. Hadfield argues that whatever you call a duty to protect against opportunism (good faith, fair dealing) what is important is what you instruct the Courts to have it mean. What’s important here is not what you call it but what you understand it to mean and what eventually courts or other enforcers understand it to mean, including what franchisors understand it to mean. What I’m going to suggest to you is that what it needs to be understood to mean is that franchisors are explicitly obligated to exercise their discretion as if it were their own assets at risk. Because if they’re not, that means they’re taking advantage of the fact that there is a separation of ownership and control and making a decision that, if they were the ones who had to renovate the outlet, would not be a good business decision. Would the franchisor in a disagreement have acted differently IF the ownership of the assets were switched? NO? Then it probably is a legitimate franchisor decision. YES? Then the franchisor is probably using the frnachisee’s sunk cost investments to unfairly squeeze more cash from the franchisee. Without direction to regulators and the Courts, unconscionable conduct will be as hollow a term to investors as good faith, fair dealings and commercial reasonableness have been in North Amercia. This entry was posted on Friday, October 10th, 2008 at 7:04 am and is filed under Opportunism. You can follow any responses to this entry through the RSS 2.0 feed. You can leave a response, or trackback from your own site.